In order for RaceCapture/Pro to log an analog sensor's value, it must understand what voltages correspond to what values. Example: for a temperature sensor 2 volts may mean 150 degrees fahrenheit. The easiest method of discovering this is to hook up a gauge to the sensor while it is installed and record the voltage values via a multimeter. 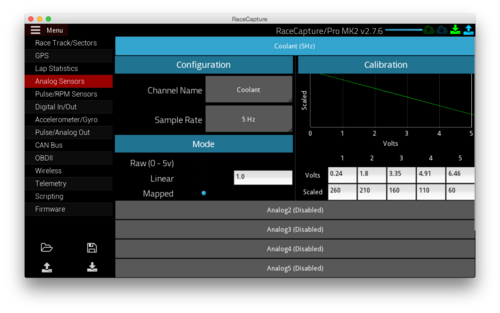 Or you can purchase a sensor that has a known voltage/value map here: RaceCapture/Pro Sensors. You will need the full range of voltage and values you want to log (example: for a coolant temperature sensor you would want a range from 50F to 275F, you must have the voltages for 50F and 275F). 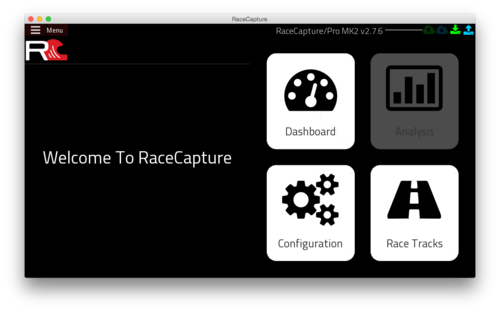 Plug in RaceCapture/Pro to your computer and open the Race Capture app. Raw: The raw 0 - 5v voltage is logged. Linear: A simple multiplier is applied to the raw voltage. Mapped: Map the raw voltage to a scaled value. Ideal for non-linear sensors. For mapped calibration 5 Bins are provided to map a 0-5v value to a real world value. For each Bin specify the voltage and the corresponding scaled value. Note: Linear interpolation is used to scale values between points. Note: if only two points are needed in the map, simply repeat the last Bin until the end of the table. An easy way to figure out if you've calibrated your sensors correctly is to use the digital dash view under 'Dashboard' in the Race Capture app. 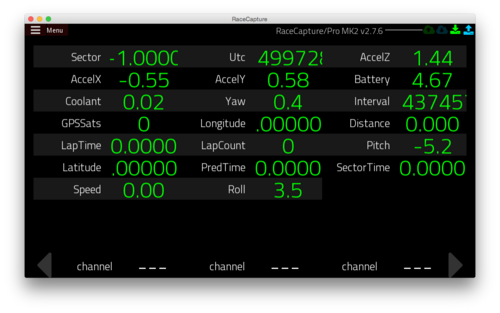 There you can view all channels being logged in realtime from RaceCapture/Pro.